Parents – Prepare Your Kids for Success with Real Life Lessons and Financial Knowledge. Send as a Gift with Personalized Message! Book will arrive in 5 - 7 Business Days! Your personal information is encrypted and never shared. Purchased by the Boys and Girls Club! Purchased by Somerset College Prep! Teaching Real Life Lessons in the Schools! A Guide to Raising Respectful, Hard Working, and Well-behaved Children While Avoiding Entitlement! 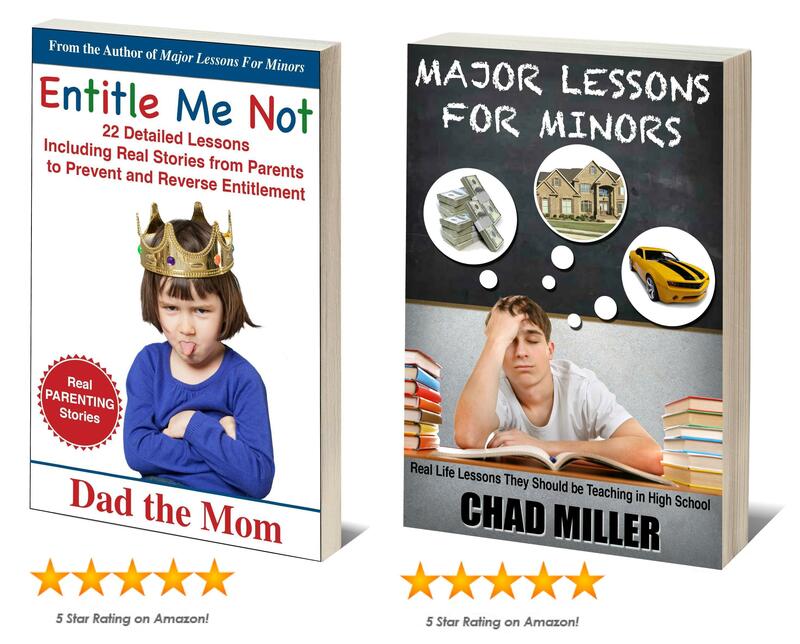 Features Real Parenting Stories About Struggle and Success! How to Open Family Communication! How to Teach Manners and Respect! How to Effectively Discipline and Make Reward and Rule Charts! Conquering the Bedtime Routine and Potty Training! 5 Step War Plan For Taking Your House Back From Your Kids! Shocking Entitlement Trends and Statistics! 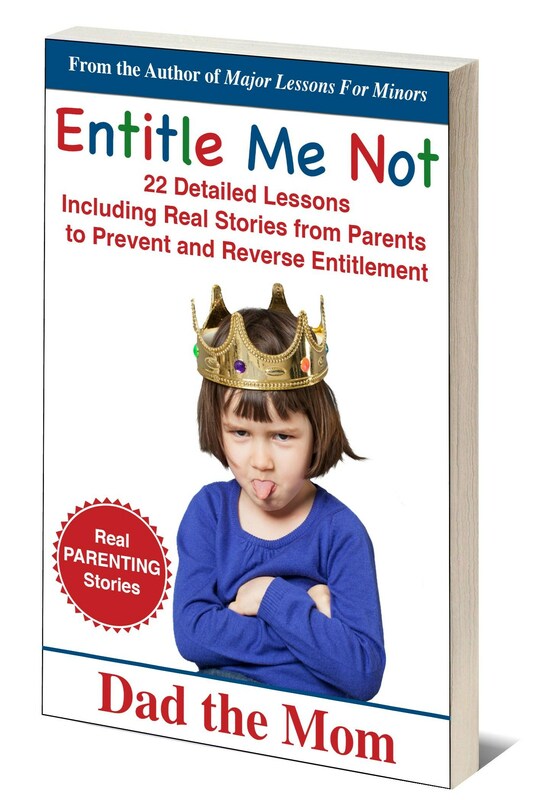 22 Detailed Lessons and Stories For Parents of Young Children and Teens! 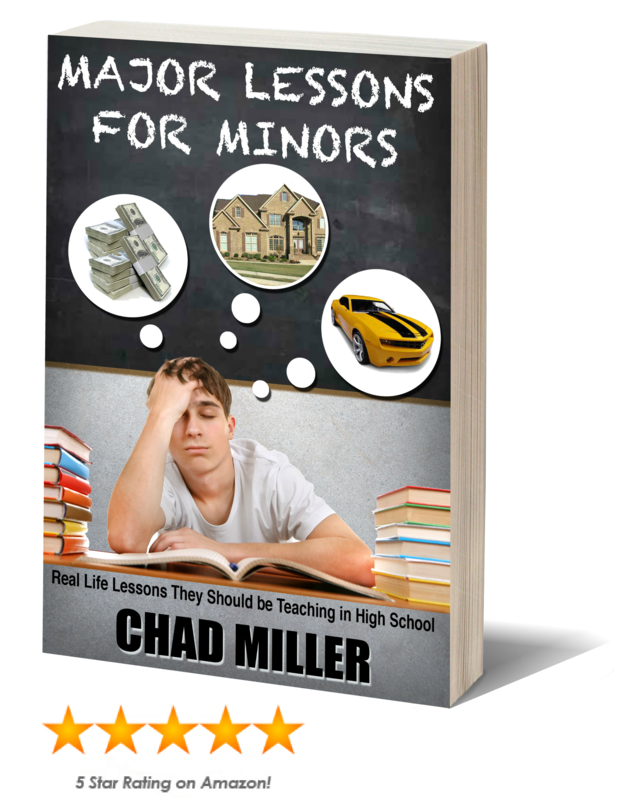 68 Real World Lessons ALL Teens Should Know Before Graduation! How to Choose College, Find a Career, and Interview like a Pro! How to Build Credit, Safely Use Credit Cards, Avoid Money Traps, Junk Fees, and Bad Financial Decisions! How to Buy a Car, Understand Insurance, Drive Safely, and Handle an Accident! How to Rent and Buy Your Own Home, and Important Lessons on Real Estate and Realtors! How to Pay Taxes, Vote and Understand Elections! How to Avoid and React to Crime and Emergency Situations! 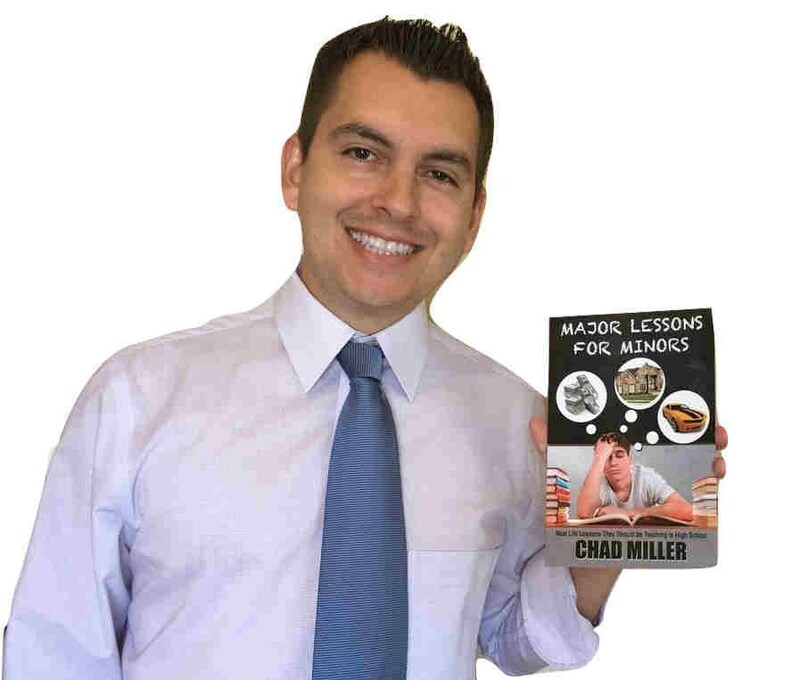 Chad Miller (Dad the Mom) is a faith-based author, entrepreneur, stay-at-home dad, real estate investor, social media marketing coach, musician, and owner of the largest parenting blog on the Treasure Coast in South Florida, DadtheMom.com. He’s written two books which help parents and educators teach real life financial lessons and street smarts to kids, and also travels to schools to speak to teens and adults about making smart decisions. Please leave a comment or review below!